Quality is the main for any products. In today’s readymade garment business buyers are trying to satisfy their customers by marketing quality products. As a result, it’s a mandatory duty for the garment manufacturers to inspect all the section of garments manufacturing. Fabric inspection is one of the parts of those sections. Fabric inspection has done in case of knit fabrics and woven fabrics. This article has shown the correct process flow chat for woven fabric inspection followed in the apparel industry. All the woven fabrics are received here by fabric inspector. Here, fabric inspector identifies all the visible faults containing in the fabric. Fabric GSM has to check here by using GSM cutter or without using GSM cutter. In case of woven fabric it is very important test. Fabric quality inspector confirms the fabric shrinkage test here. According to buyers provided approved shade all the fabrics are checked here. Finally, fabric quality inspector shows here the actual fabric quality report. Mention the process sequence of woven fabric inspection in apparel industry. 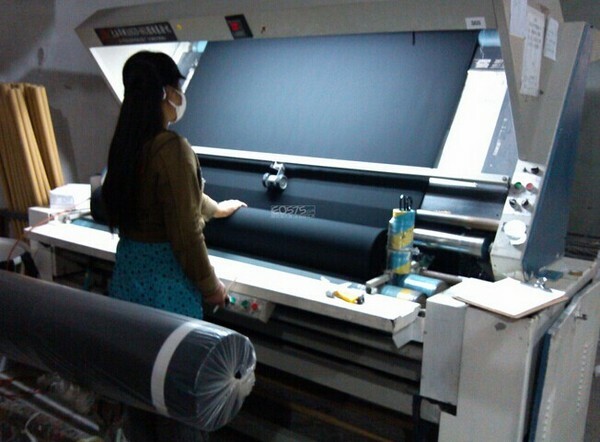 Show the method of woven fabric inspection followed in garments industry. Mention an inspection process flow chart for woven fabrics. Mention which flow chart should maintain during woven fabric inspection? Mention the flow chart of fabric inspection in RMG industry. Mention the flow chart of inspection in fabric section in RMG industry.